I mean, of course it doesn't come to an actual end, but once we hit a wall, that's the only thing we like to believe. It's the only thing we can believe! Inspiration is no longer with us. It is passé, fini, au revoir. 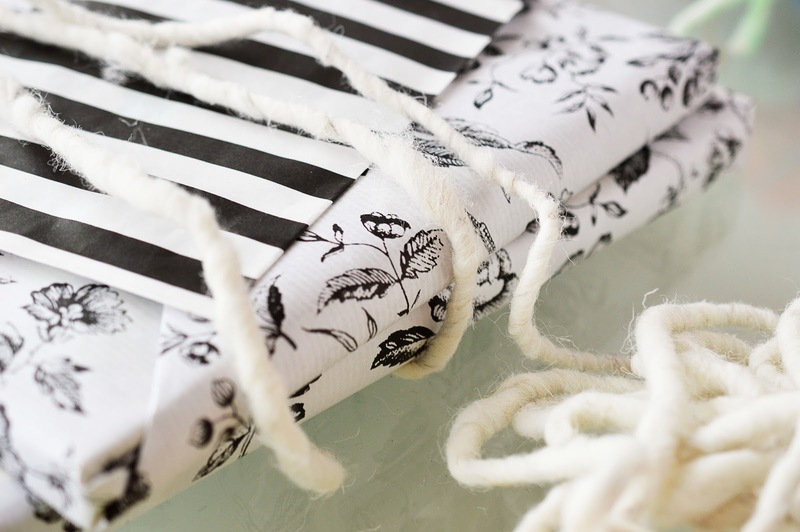 So if you feel there is no other way than to gift that notebook, that tie or those socks - once again - then at least get creative with the packaging! 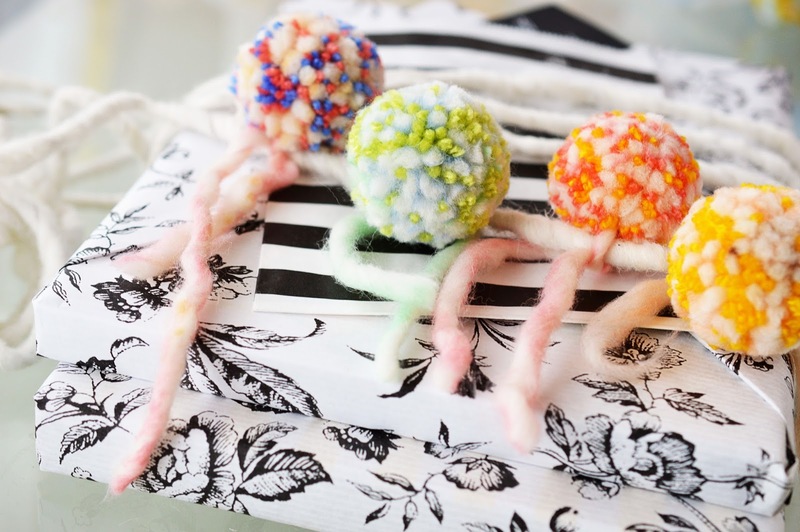 Show that you care by putting in a little extra effort into the presentation. 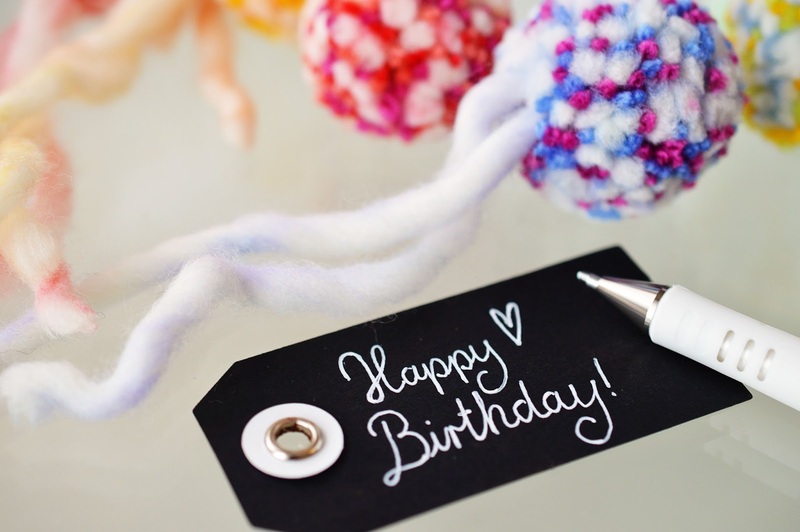 After all, it's the thought that counts right? Actually, I wouldn't accept that as a universal truth, but at times it is all we need to hear. 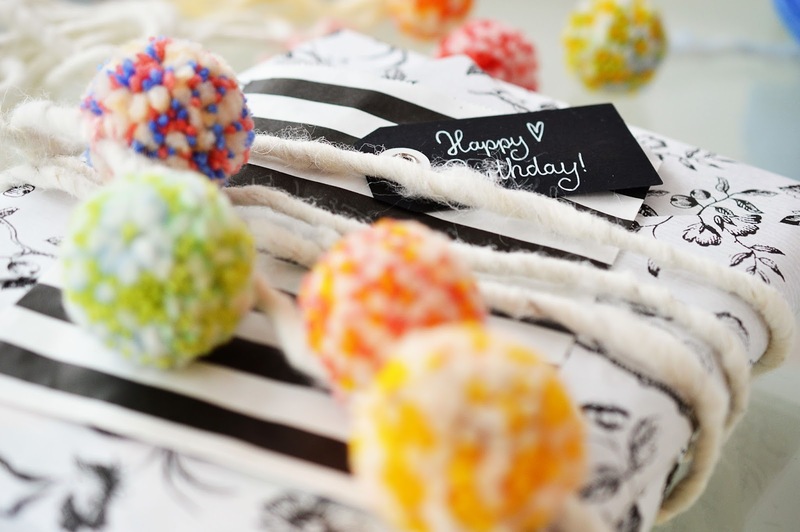 And with this pom pom garland, there will be no denying that you really did spend some time thinking about how to best sweeten that someone special's day! 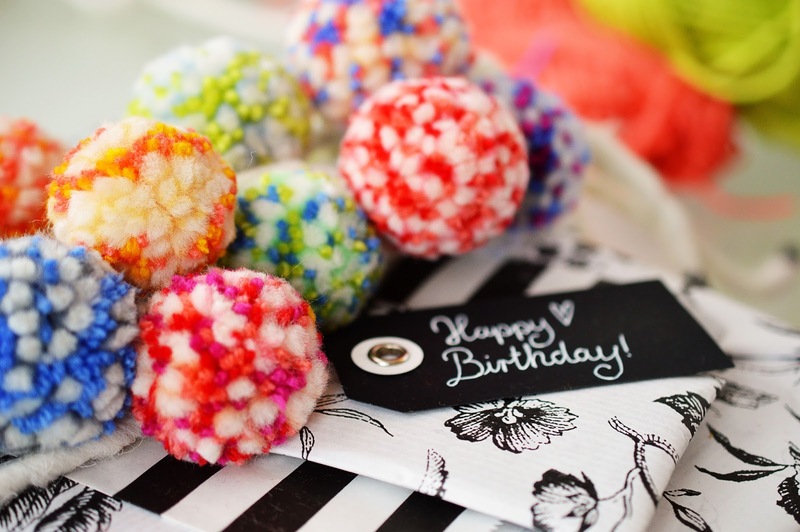 Basically, when in doubt, a multi-colored pom pom garland is the way to go! 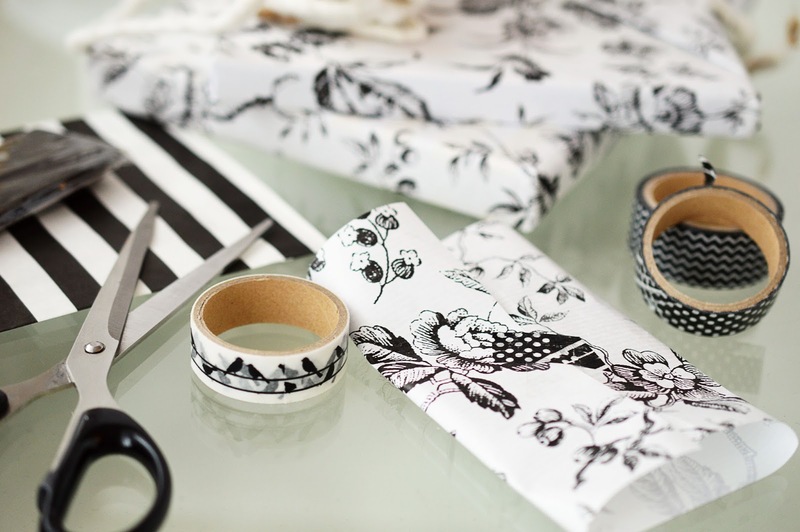 Step 1: Wrap your gifts in the familiar manner. 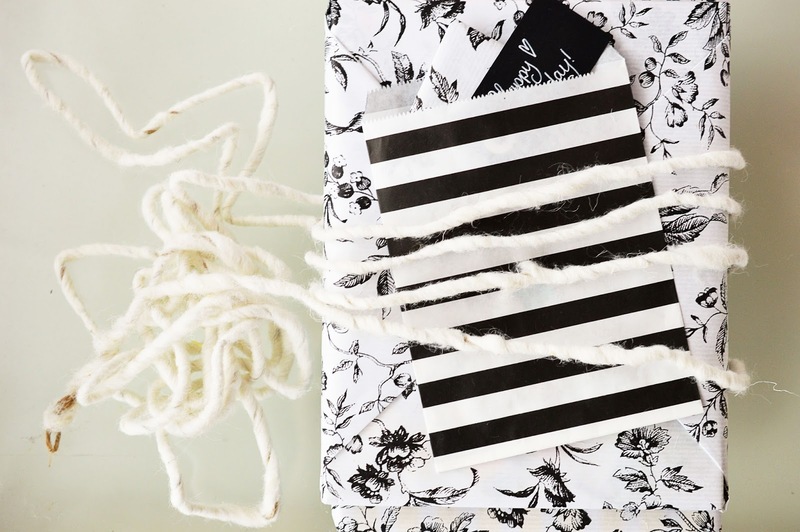 As I used colorful yarn, I opted for a more toned-down paper in black and white. 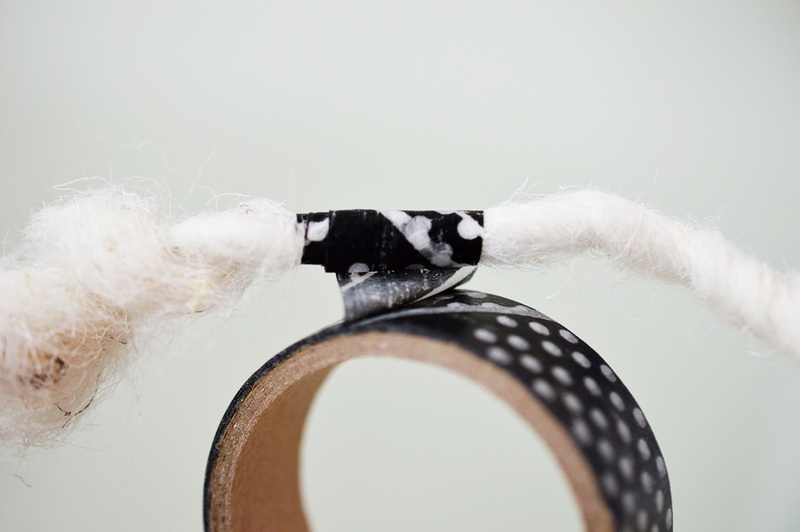 Secure with washi tape for added interest. 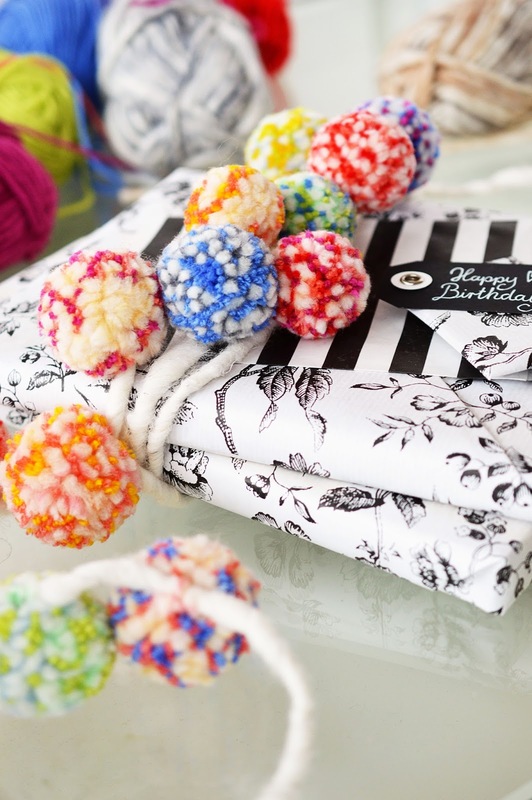 Step 2: Now on to my favorite bit: Get out your yarn and make a whole bunch of pom poms! 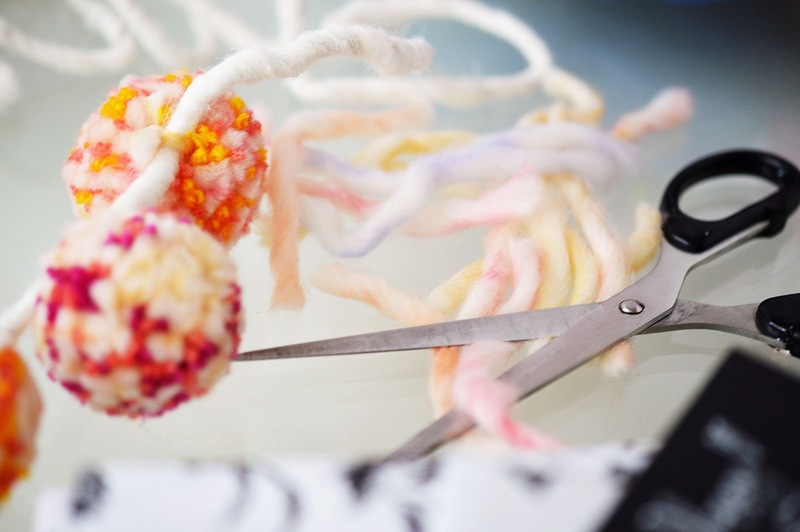 Wrap the yarn around your fingers or a fork numerous times and tie together with an extra bit of yarn. 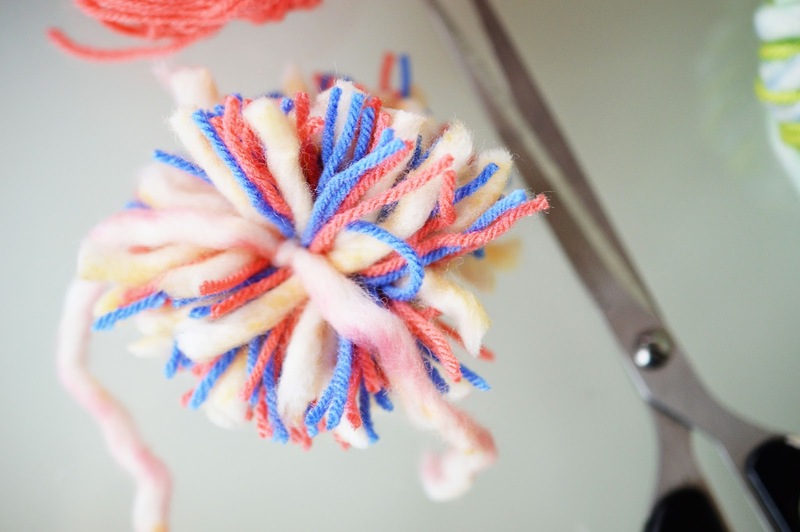 Using a pair of scissors, cut the pom pom into a nearly, but not-really-perfect-at-all circular shape. 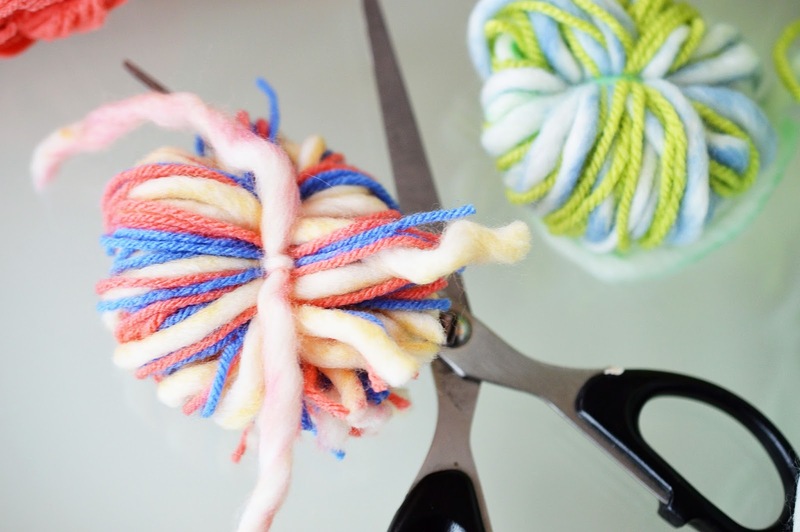 Be sure to leave the two strands you used to tie the bundle together uncut. 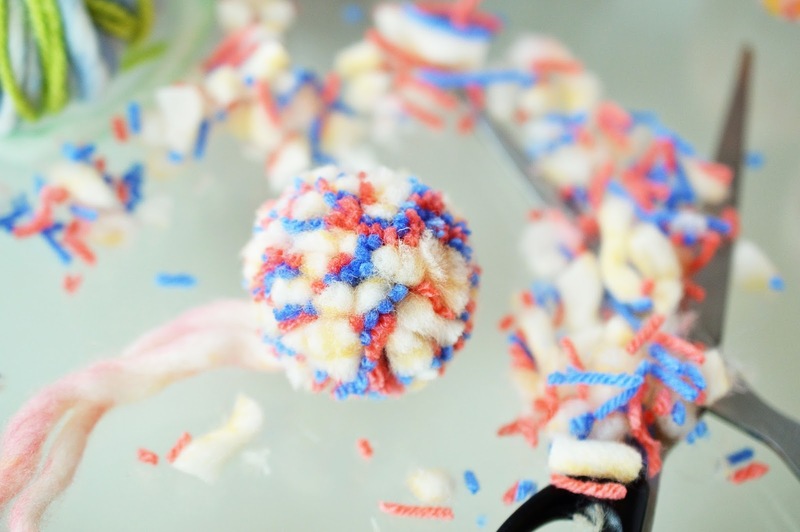 For more detailed instructions on how to make pom poms without using a pom pom maker, have a look here. 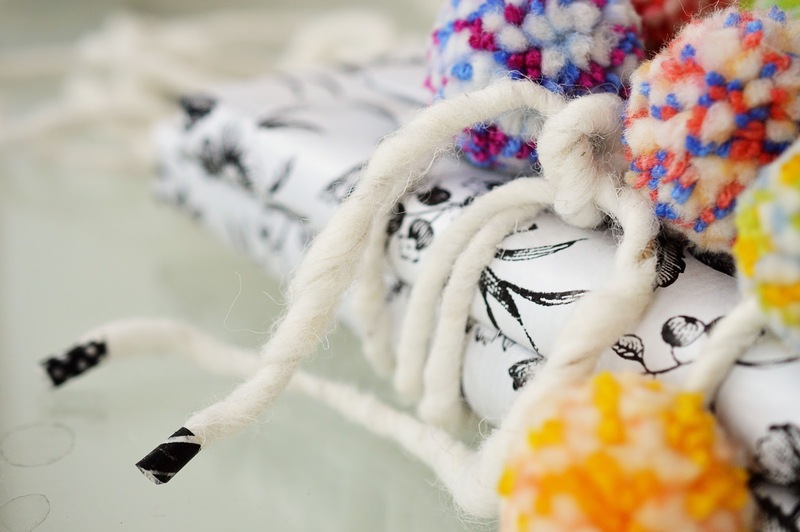 Step 3: Wrap your string around the stack of gifts several times. 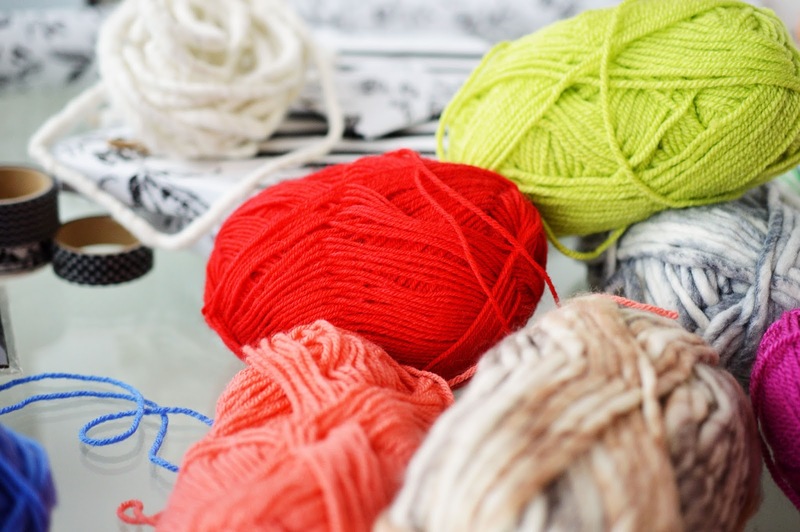 This will help you determine the length of the string you require. 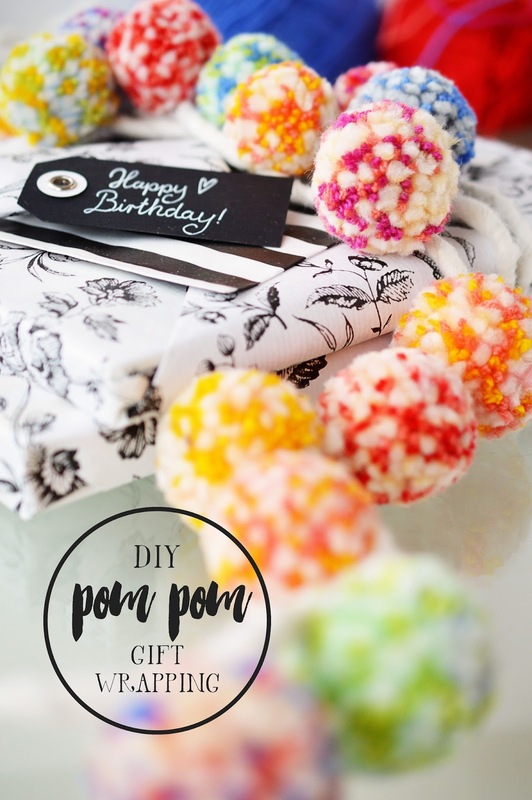 It also gives you the opportunity to avoid adding pom poms to the back of the gifts; the bulkiness would make it difficult for them to lie flat. 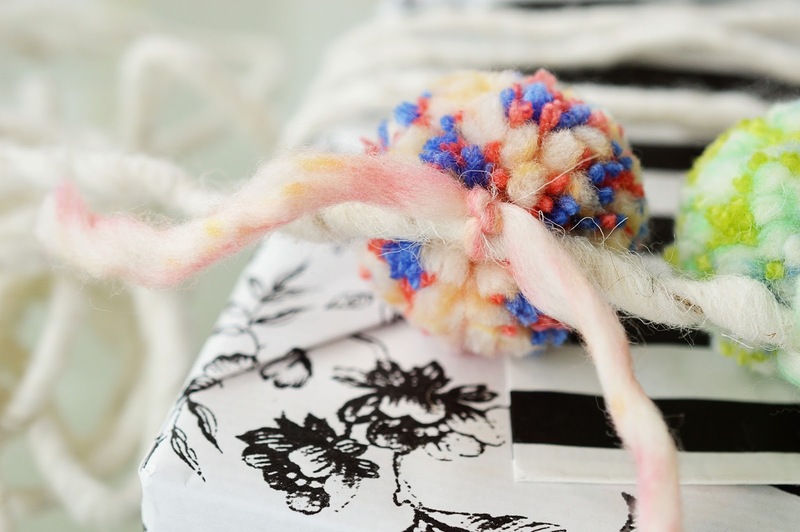 Step 4: With the extra yarn you used to tie the pom pom bundle together, loosely knot the pom poms onto the string. 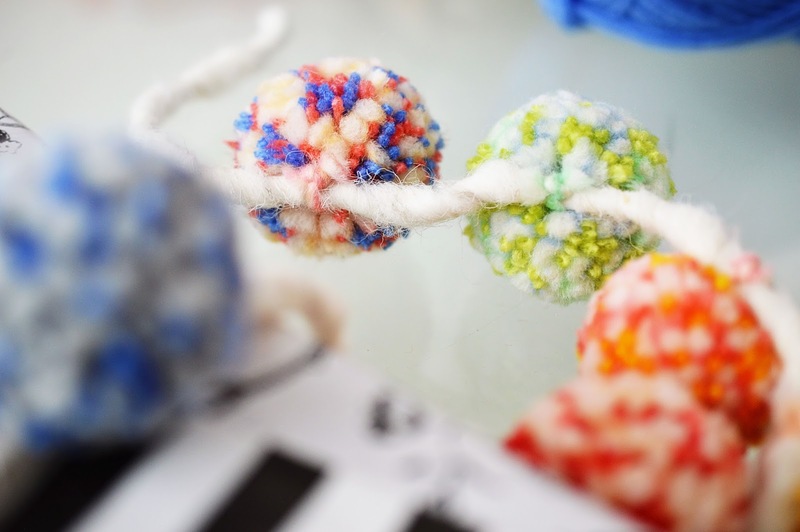 Once you figured out the placement make a secure double knot and cut off the ends. 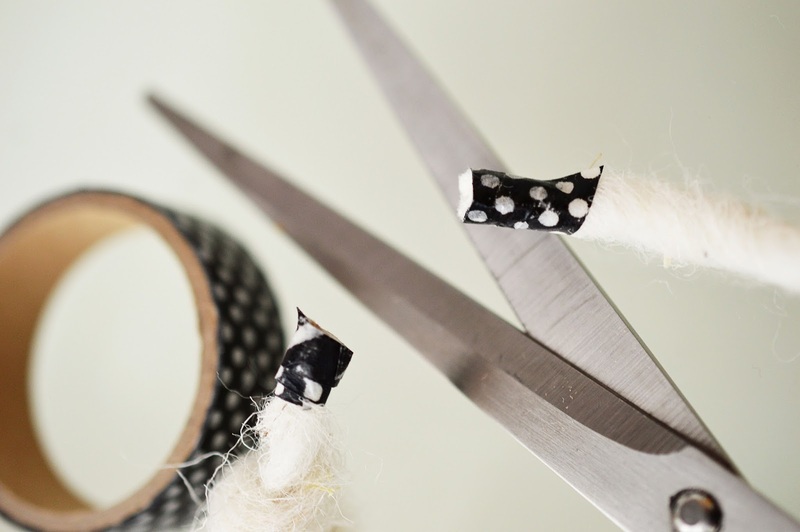 Step 5: Cut off the ends of the string to the desired length.You should be able to tie a simple knot. 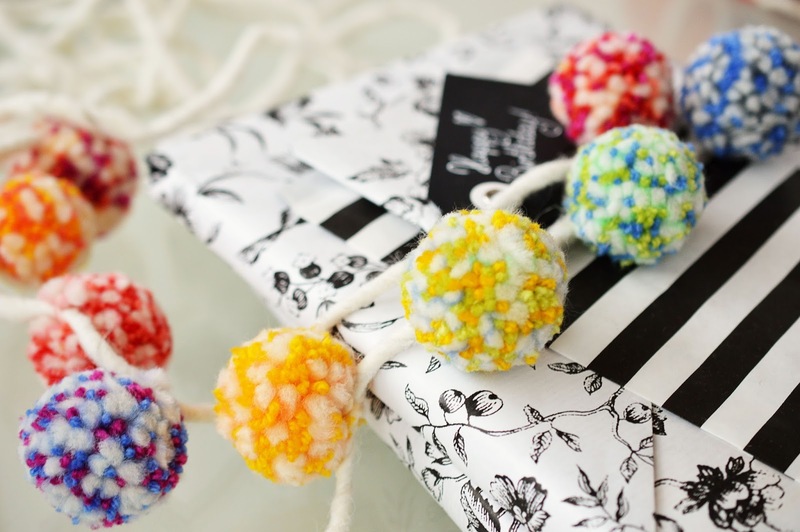 For a polished finish and to avoid frayed ends, wrap a piece of washi tape around the ends of the string - and your garland is done! 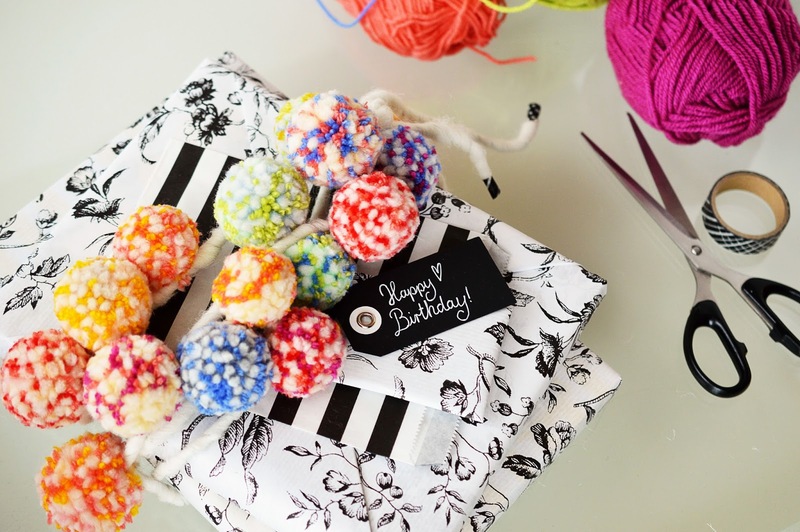 Step 6: Make a loose double knot, add a gift tag and smile, because I'm not sure how you wouldn't with this adorable pom pom delight! Wundervoll. Fast schon zu schade zum Auspacken. 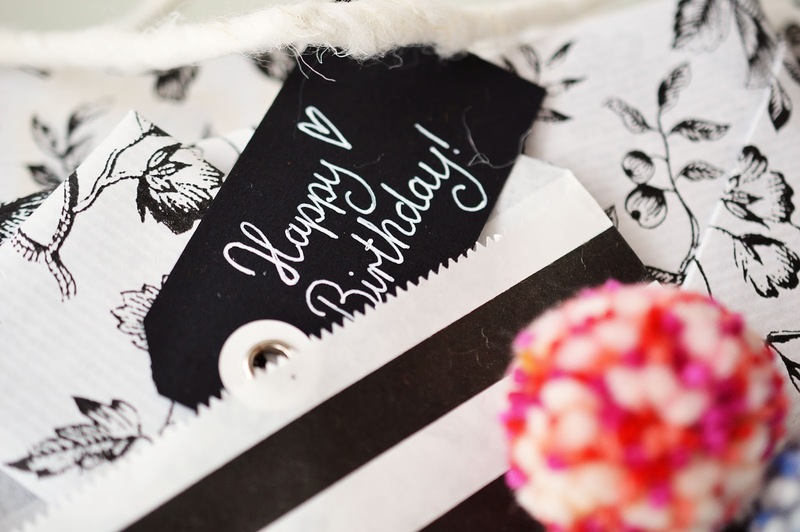 I love creative gift wrapping so much! 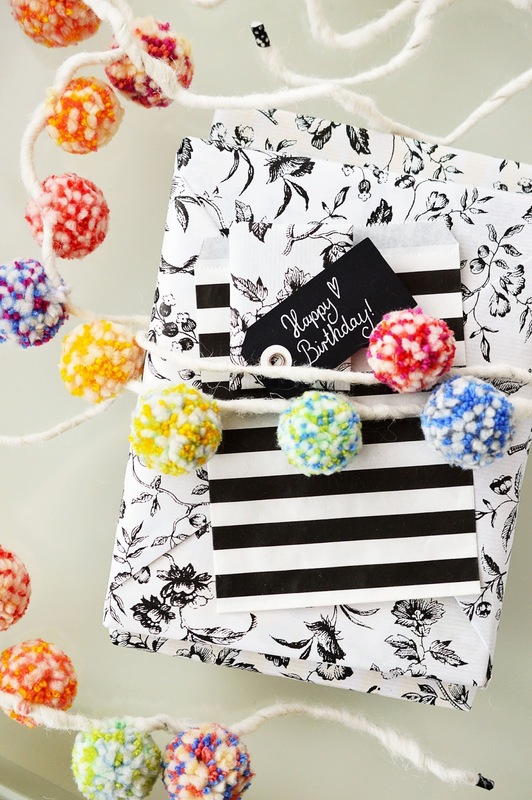 Love the colorful pom pom garland with the graphic black and white paper.